Our mission is to provide veteran small business owners and family members an opportunity, free of tuition, to attend a program in entrepreneurship that is being put on exclusively for veterans in order to provide them with the skills, resources, mentoring and networking necessary to grow their own small business. This program is a six month VETRN program based on a course in strategic business planning, business cash flow and financial management, and is a collaboration with Interise, the developer of the highly successful, award winning “StreetWise MBA” program. We believe that military training provides many of the skills necessary to be successful in the business world. We also believe that academic credit should be given for those skills, thereby increasing access for veterans and their families to receive college level training to help become successful in running his or her own business. Each cohort will consist of 12 veteran small business owners. Veteran applicants, who are interested in attending this program, with tuition fully paid, will be asked to fill out an application form, stating your business goals and objectives and the reasons why you wish to attend this program. The written application will be followed by an interview of the veteran applicant or family member. Veterans and family members who are accepted into the program will be provided with a mentor from day one of the program chosen the business or financial community to work with them both during the program and after successful completion of the program. VETRN believes that ongoing mentorship and networking is critical in helping to grow your small business and become successful. To the extent the veteran applicant may not qualify for the VETRN Entrepreneurship program, VETRN will provide other services, including training in basic skills such as math and computer literacy and an introduction to other veteran resources, including preparing resumes, job opportunities, mentorship and other pro bono resources provided by organizations supporting the VETRN program and veteran entrepreneurs. "The VETRN program allowed me to focus on my businesses strengths and weaknesses. I have gained insight on ways to measure my business success." 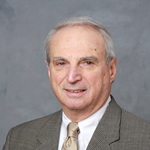 Chairman of Jones & Vining, Inc.
Senior Commercial Lender, Workers Credit Union, Fitchburg, Mass. Leland Goldberg has over 25 years of experience as chief executive officer, chief restructuring officer, or financial advisor to over 300 companies, including CEO of fourteen companies. 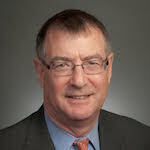 He is a former partner in the business restructuring group at Coopers & Lybrand, a founding partner of The Recovery Group (now Deloitte CRG), and a former senior credit officer at Bank of Boston. He holds both a bachelor’s degree in business administration with a major in accounting from Northeastern University, and a master’s degree in business administration with a major in international finance from Boston College. A certified turnaround professional, he is a past president and founder of the Northeast Chapter of the Turnaround Management Association, has taught at the graduate business schools at Northeastern University and Boston College and has been a frequent guest lecturer at Harvard Business School. A former Army Officer, who served in Vietnam, Lee is a former Director and Past Chair of World Education, a non-profit engaged in training and technical assistance in literacy, adult education and health education around the world. 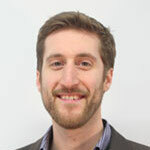 Erik is the co-founder of MediaVue Systems, a global technology provider servicing the digital signage industry. For seven years, MediaVue has provided digital communications infrastructure for organizations including NBC, Marks & Spencer, Massport, WGBH, and Heathro Airport. A former infantry Marine who served in Afghanistan, Erik has also worked alongside senior state leadership to build programing that supports veterans’ success in higher education. Amy Geogan is the Senior Vice President and Chief Credit Officer at South Shore Bank, a $1 billion mutual headquartered in South Weymouth, MA. 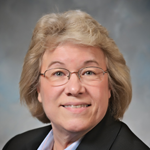 Her banking career spans over 30 years, beginning at Bank of Boston where she held a variety of positions in lending and management, and was EVP of the Regional Business Bank at the time of her departure to join Sovereign Bank as EVP of Small Business Banking when they entered the New England markets. 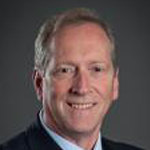 Prior to joining South Shore Bank, Geogan had been an independent consultant to KPMG’s audit assist practice and the Chief Credit Officer of Bank of Canton. 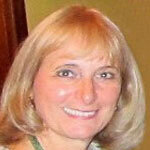 Ms. Geogan has been involved with a wide variety of banking activities and organizations. She is a former Board member of the Massachusetts Certified Development Corporation, the Center for Women & Enterprise, the Urban League of New England, and the SBA Advisory Board. Ms. Geogan earned her bachelor’s degree from Harvard University. Tom Sommerfield is the Chief Risk Officer for Blue Hills Bank. In this capacity, Tom is responsible for credit risk, compliance, internal audit, and enterprise risk management throughout the bank. Previously Tom was a Director at Spring Street Capital, an affiliate of The Baupost Group. 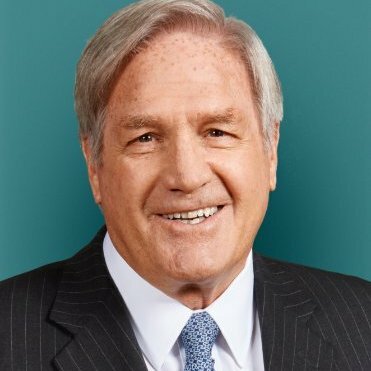 Dating back to 1979, Tom worked in finance, banking and asset based lending where he held senior management positions at CIT, GE Capital, FleetBoston (now Bank of America), its predecessor banks, and at HSBC. Tom is a graduate of Columbia College in New York. His past volunteer activities have included advisor to the Wayland Charitable Foundation, chair of the School Council of Claypit Hill School in Wayland, Mass. and youth sports coaching activities. 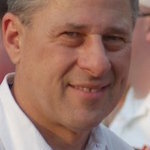 He rides in the Pan-Mass Challenge each year and co-leads the Blue Hills Bank’s riding/fundraising team. 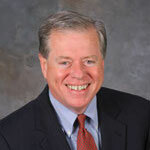 John G. Loughnane is a partner in the Business Department of Nutter, McClennen & Fish LLP in Boston. 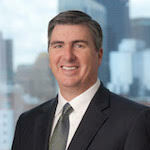 He has twenty-five years of experience focused on growing and restructuring companies. He is admitted in Massachusetts and New York. He serves on the Board of Directors and as an Officer of the Turnaround Management Association – Northeast Chapter. He co-chairs the Technology & Intellectual Property Committee of the American Bankruptcy Institute and, from 2013-2015, co-chaired the Bankruptcy Section of the Boston Bar Association. He is an active member of the community serving as a corporate trustee (and past co-chair of the Conservation Council) of the Trustees of Reservations and as a volunteer and leader for various youth and community organizations. He is a member of the board of directors of the College of the Holy Cross Lawyers Association and a board member of the George Washington University Law Alumni Association. 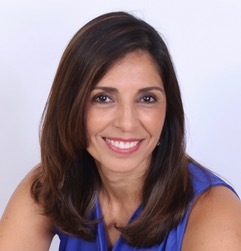 Ingrid Centurion is CEO of Centurion Technologies, a management consulting firm that assists high technology start-ups with marketing, sales, strategy and operations improvement. Lt. Colonel Centurion, retired, served 22 years of active duty in the US Army as an Army Aviator, Combat Pilot, instructor and Test Pilot. Stephen has served in a number of government and non-profit leadership roles, including New England Small Business Advocate for the U.S. Office of Advocacy. Carol has over 25 years’ experience in banking and as a lender to small and medium sized businesses. 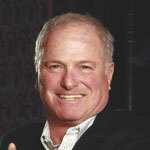 Mark Krentzman is Chairman of Jones & Vining, Inc.; Director of Phizzle, Inc, a mobile marketing company; Advisor to BioVentures Investors, a medical instrumentation company; Member of the Corporation, Northeastern University and MBA, Harvard Business School. Bill has served as an Advisor to banks in assisting them with implementing procedures in response to Federal and State audit guidelines. He has also served as a lender to both real estate developers and corporate borrowers.